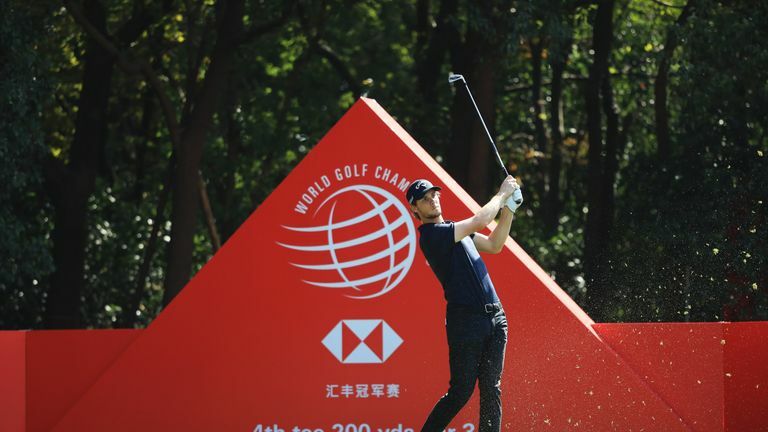 Thomas Pieters produced a stunning hole-in-one during the final round of the WGC-HSBC Champions. The Belgian struggled to a two-over 74 during the final round in Shanghai, but still produced one of the shots of the week at the par-three 13th. Pieters had slipped down the leaderboard after triple-bogeying the second on his way to reaching the turn in 41, only to undo some of the damage with his tee shot at the 197-yard hole. Using a six iron, Pieters attacked the flag off the tee and saw his ball pitch 15 feet short of the pin and take a short hop before rolling into the cup for an unlikely ace. The hole-in-one lifted Pieters back to three over for the round, with the 2016 Ryder Cup star then bogeying the 15th and finishing his week with two birdies over the final three holes. Click on the video above to watch Pieters' hole-in-one!